[Here’s a fascinating post that someone put on the social media. 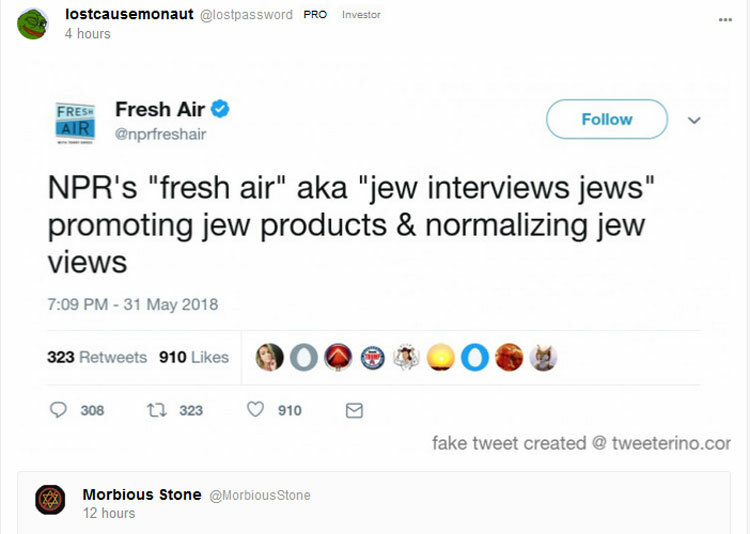 Here you see how Jews shamelessly interview each other and push their agenda. This is how 2% become 20% and you think they’re all just normal "white” Americans! Nope! The key factor is how "Jewish views” then become EVERYONE’s views!!! That’s the big secret. By Robert H. Countess, Ph.D.
On NPR and the dismissal of the Gentile Bob Edwards, host of Morning Edition. As I recall, Bob Edwards was a Gentile from Kentucky and hosted the National Public Radio show MORNING EDITION for many years until a few weeks ago. Prior to Morning Edition, he hosted the NPR afternoon show ALL THINGS CONSIDERED. It was this latter show to which I took my sons back around 1975 in downtown District of Columbia and we sat in the studio for 90 minutes watching the live presentation of this highly popular national program. At that time, ATC was co-hosted by Susan Stamberg and the news read by Dianne Dimont (both Jewish). This past week while vacationing on the Gulf Shore, I listened to Morning Edition to learn who had taken Bob Edwards’ place and I heard Steve Insky (Jewish) as host. I assume that he is permanent. Saturday morning, NPR is hosted by Scott Simon (Jewish) (with frequent appearances by the Jewish commentator Daniel Shorr); the afternoon ATC is pegged to Robert Segal and Linda Wertheimer (both Jewish) [wit[with occasional subs being Terry Gross (Jewish) and an occasional Gentile]nday morning’s show seems regularly led by a female Gentile whose name escapes me at the moment. Now, I make this statement as a statement of *fact* based on observation. Commonly, there are stories promoting Yiddish this and that, this and that Holocaust ‘survivor’ and his/her book or tale of woe, anti-German/Nazi stories and reports but NEVER a story on the Jew Karl Marx and his Judeo-Bolshevism and the genocide led by Soviet Jews against tens of millions of Christian or secular Slavs and other Gentiles from 1917 on. My question to readers of this site is: Have I erred in my statements of fact about NPR? 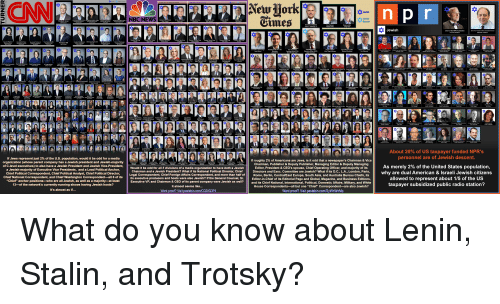 Have others noticed the blatant Jewish takeover of this network, supposedly belonging to THE American People, yet clearly a Jewish mouthpiece with NO LONGER disguised Jewish interests and persons as dominant? I shall continue to listen to NPR, but I gave up financial support nearly twenty years ago when the local Rabbi in Huntsville and the Jewess producer of my midday live talk show conspired to force me off the station. They succeeded and I was out by May of 1987. C’est la vie! It’s absurd on its face for anyone of even modest intellect to buy the BS that der juden is a lowly 2% of the US population or they are some other tiny fraction comprising less than 1% of the global figure. Like cockroaches, these godless heathens are EVERYWHERE. There’s a bagel-sniffer of high or highest rank in almost every single powerful position of consequence in the Western world and their selfish meddling and intrigue extends to every country on planet. These incessant whiners love to propagate the trope that simply an infinitesimally small and persecuted minority and being so few of them as compared to the gentiles, it is impossible for them to have such inordinate influence on the goyim. These grotesque and disproportionately perverted yids have bred themselves into FAR larger numbers than the always naive gentiles are led to believe. I have also wondered if they understate their population deliberately. But if they are in higher positions, then it doesn’t require many of them to control a lot of power. So I suppose its a case of give a jew an inch an he will take your entire arm. They have no inhibitions. They are too well treated. They need to be beaten and kicked around at the very least. 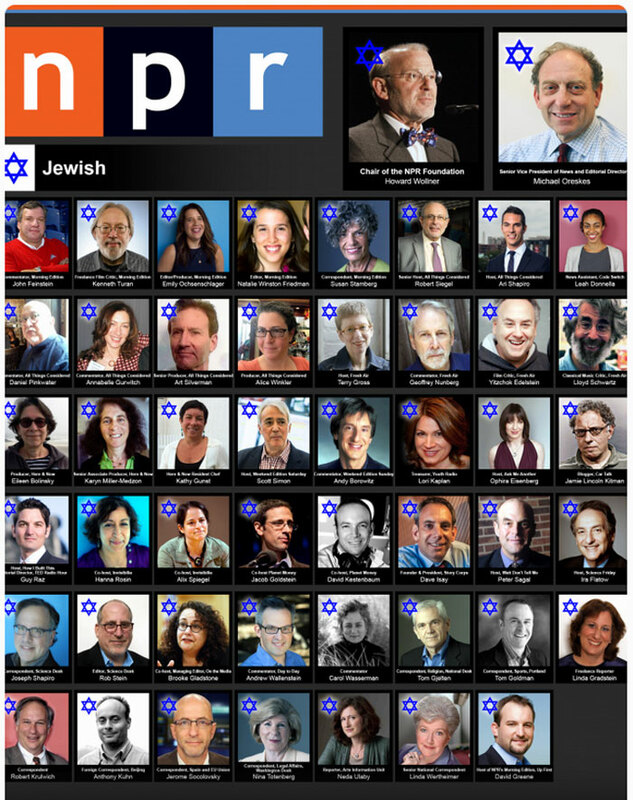 NPR just made a transition , from very jewish to totally jewish. The kosher slant has always been there, it’s just grown and grown.